A passion to help young people address problems facing them in today’s world is the driving force behind today’s guest Diane Guntrip‘s decision to take a new direction into writing and speaking. 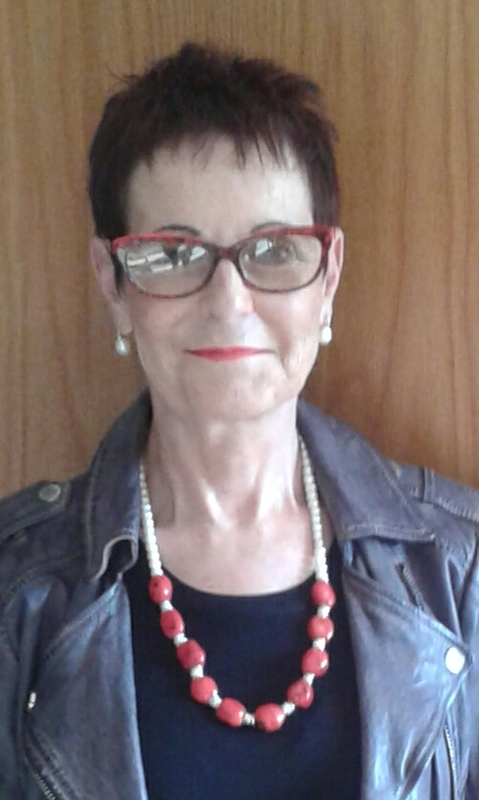 Diane is an educator of many years standing both in Western Australia and the UK. Since the release of Dear H in 2014, she has presented workshops in WA primary schools based on the book. In 2016 Diane presented to audiences in the UK, including Nottingham University students. Her wide interests have actively involved her in many creative pursuits and as well as writing and teaching, she has created businesses in jewellery design and interior decoration. 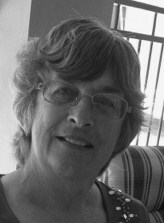 Diane is now semi-retired and her aim is to continue writing and introducing her books to a wider audience. She is passionate about helping young people address problems that are facing them in today’s world. To find out more about Diane and her books, visit her website. Why do you write? Writing is only a part of my creative psyche. I have and am still involved in other creative pursuits. Writing is just one way of expressing myself creatively. What would you be doing if you weren’t a writer? I would have to be involved in another form of creativity. In the past, I have been a teacher of textiles, have been involved in jewellery design as well as designing home furnishings. I am presently learning to play the piano and learning French. I am also a traveller by nature so visiting other countries would be high on the list. What was your toughest obstacle to becoming published? 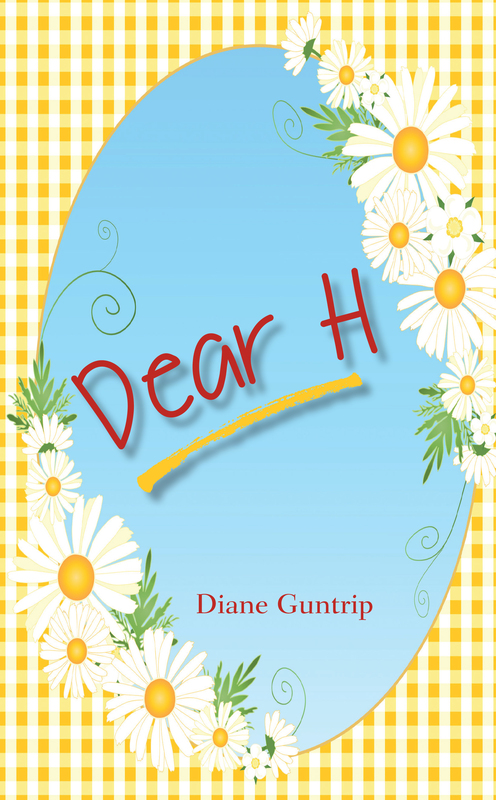 My first book, Dear H was started many years ago. It was meant to be just a short story and I had no thoughts of publishing it at the time. A long the way and over the years, the book developed into a story that was relevant to today’s young people. I decided to self publish as I wanted to reach my audience whilst the topic of bullying was hitting the headlines. For me, the biggest obstacle in submitting the manuscript to traditional publishers is the time factor between submitting and waiting for a response. However, I have recently submitted the manuscript to traditional publishers. How involved have you been in the development of your books? Do you have input into the cover/illustrations? I have had total control in the development of both of my books. They are diaries and I was specific in my instructions to my type setter and chose a font which was closest to the handwriting of a young girl. I also chose the daisy theme on the covers of both books as it is important as the daisy was chosen as the emblem for an anti-bullying group. What’s the best aspect of your writing life? Visiting schools and giving presentations. I find it very rewarding. I have been a teacher all of my working life but giving presentations gives a different perspective into working with students. The feedback I receive from the students makes the writing process worthwhile. —the worst? Spending hours on book promotion. What would you do differently if you were starting out now as a writer? With the knowledge that I now have of the writing process, publication and book promotion, I do not think I would contemplate writing a book at all. What do you wish you’d been told before you set out to become an author? How hard and frustrating the whole process is. What’s the best advice you were ever given? I cannot recall being given any advice. Diane’s top tip for aspiring authors: Write to fulfil yourself. Twelve-year-old Amanda should be the happiest girl in the world. She is the daughter of wealthy, successful parents, lives in a six-bedroom mansion and attends a prestigious private college. What more could she ask for? However, Amanda is besieged with problems. She is lonely, ‘fat and frumpy’, suffers from depression and has low self-esteem. BUT, her biggest fear is of Cassandra and her gang of bullies who torment her every waking hour. The catalyst in the story enters in the form of Emma, a paraplegic girl, gifted with a marvellous singing voice. Then enters the Fairy Godmother, Amanda’s grandmother, who grants Amanda’s greatest wish. Follow Amanda’s journey from ‘poor little rich girl’ to realising her dreams. Amanda’s story is one of empowerment. Her story opens up possibilities to discuss the many topics which are important to our young people of today or it can be read purely for enjoyment. Suitable for girls from 10+​ years of age. Amanda is now a vocal student at St Celia’s Academy of Music. She is still writing in her diary to ‘H’ and sharing her intimate thoughts and feelings with her imaginary friend. 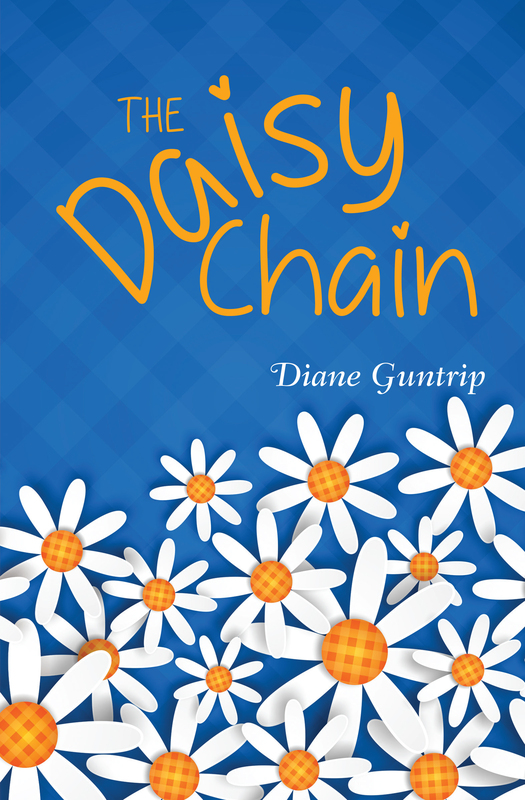 Who are Immie and Simon and why does Gillie play such an important role in the formation of the Daisy Chain group? Why does Tilly have to leave the Academy? What was Cassandra’s dreadful downfall? is there a reason for Jessica’s behaviour? Amanda chronicles it and more in The Daisy Chain. A give-it-my-best-shot attitude and a commitment to learning has led to the realisation of a dream for West Australian debut author Shirley Rowland, my first guest on In Their Own Write for 2018. Shirley was born in South Australia but now lives with her husband in a coastal suburb south of Perth, Western Australia. Her interest in writing was sparked in primary school but lay dormant for many years. She joined her first writing group in 1998 and is currently a member of four groups, each providing a different writing relationship. 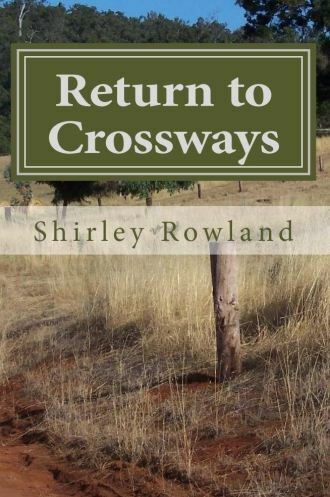 Shirley published her first fictional novel, Return to Crossways, in February 2017. That’s a bit like asking, why do I breathe? It’s something that comes naturally, that I have always done, although not specifically creative fiction and novel writing. The exact moment I decided to become a writer occurred in primary school. In Grade Seven (my last year at primary school). I was late returning to class one day. As I stood outside the classroom door, I heard the teacher reading “Compositions” from someone’s book. They sounded surprisingly good – but also vaguely familiar. When I entered the classroom and walked past the teacher to reach my desk, I glanced at the brown-paper-covered book in his hand and saw my name on it. No wonder those stories had sounded familiar! In that moment I decided one day I would become a writer. I never dreamed that day would take half a century to arrive! Either sailing around the world or doing something creative, like patchwork or painting. When I lived on the NSW coast I painted in oils for ten years. However WA’s harsh environment doesn’t inspire me, although I attended Forrestfield TAFE part-time for six years learning about colour and design – knowledge that has been useful for designing book covers! Sailing is another activity that comes to me as naturally as breathing. If I hadn’t taken up writing, I would be on the ocean in some exotic location. What was your toughest obstacle to becoming published? The decision to self-publish. It’s a huge step to take, but when I sat down with pen and paper and drew up columns listing the pro’s and con’s, I realised it boiled down to one word – AGE. Most sources quote an average time of ten years for a writer to land his or her first publishing contract. I have already outlived my mother in age; one grandmother died two years older than I am now although the other grandmother lived to her mid-eighties, which gives me some genetic wriggle-room. With such poor odds for longevity, I decided self-publishing was the logical option. In life I have generally found that if I want something done, it’s necessary to do it myself. How involved have you been in the development of your book? Do you have input into the cover/illustrations? Self-publishing means I have had complete control of development, editing, cover and everything else that makes up a book, which is both good and bad. I have attended publishing workshops, and as a member of The Society of Women Writers had access to advice from others who have taken this route. I have probably made every beginner’s mistake, but hey! it’s all part of the total learning experience. I figure that ‘content is king’ and to date feedback has been positive. What is the best aspect of your writing life? The high after a great writing session, when the creative juices are in full flow, the word count is impressive and I surprise myself with what appears on the page. A close second is the friendship of the members of the four writing groups to which I belong, and the camaraderie and stimulation of other creative minds. What is the worst aspect? Probably every writer’s gripe – not enough time to actually sit at my computer and type! I could gripe about retired husbands underfoot and other life demands, but who’s listening? Write faster? Seriously, I have considered enrolling in a TAFE or university course to up-skill more quickly, instead of ploughing through every “How-to-write” book in my local library! and then teaching myself by instructing other writers in two of my writing groups. I can’t think of any advice that would have changed my writing journey. How hard it is would not have stopped me. Ditto time-consuming. Becoming an author is not something I “set out” to do; it was always something that I would achieve one day. When I decide to do anything, I go ahead and give it my best shot. To FINISH! Finish the story before beginning to revise it. Stephen King is probably the most famous author to give this advice. I remember Anna Jacobs giving it at a workshop, and reading it from many other authors. It’s the most-repeated, probably because it IS the best single piece of advice, although I think that until you have completed that first draft of your first novel, you cannot fully appreciate its value. A close second is a piece of advice you once gave me, Teena. When overwhelmed with half a dozen projects on the go, pick one and stick with it until it is finished – which comes back to the first piece of advice; to keep going until you finish. Shirley’s top tip for aspiring writers: Keep writing! I would add, join a local writing group. It’s amazing how inspiring, encouraging and understanding fellow writers can be. I gain something slightly different from each of the writing groups I am a member of. And keep learning: the learning process never ends. When Priscilla de Rossi’s glamorous marriage fails, she returns to Australia expecting to take no more than a few weeks to untangle her life. On a weekend visit to country Crossways where she grew up, she discovers her grandmother has died and she has inherited a run-down cottage. But someone does not want her there. Is it her estranged mother or local hotelier, Steve Moncrieff? Meanwhile she makes new friends and lands a job in Melbourne. Does her future lie in the city or the country? At its heart, this is a home-coming story. Priscilla must face the people she fled from ten years earlier. The book is availBook Blurb for Return to Crossways: When Priscilla de Rossi’s glamorous marriage fails, she returns to Australia expecting to take no more than a few weeks to untangle her life. On a weekend visit to country Crossways where she grew up, she discovers her grandmother has died and she has inherited a run-down cottage. But someone does not want her there. Is it her estranged mother or local hotelier, Steve Moncrieff? Meanwhile she makes new friends and lands a job in Melbourne. Does her future lie in the city or the country? Then she has an impulsive one-night stand that changes everything… At its heart, this is a home-coming story. Priscilla must face the people she fled from ten years earlier. The book is available in print and e-book format from Amazon.com here.